4k00:27Multi ethnic couple of small business owners in aprons arranging groceries on stand in grocery store. Positive diverse entrepreneurs busy filling up fruit and vegetable storage racks at minimarket. hd00:09CHIANGMAI, THAILAND - JANUARY 10, 2019 : People walking through the Chiangmai China Town, Warorot Market (Kad Luang) in Chiangmai, Thailand. hd00:10Portrait of a big happy family in the supermarket, they stand on the background of fruits and vegetables and show their thumb up. Shopping, food, sale, consumerism and people concept. Slow motion. 4k00:20BANGKOK - FEBRUARY 20: View on a Store in the Chinatown neighbourhood of the city on February 20, 2018 in Bangkok, Thailand. 4k00:21Mixed race shop clerk in apron at store shelves checking oranges in order to define its quality, enjoying aroma of ripe orange and offering to coworker to smell freshness of fruit at grocery store. 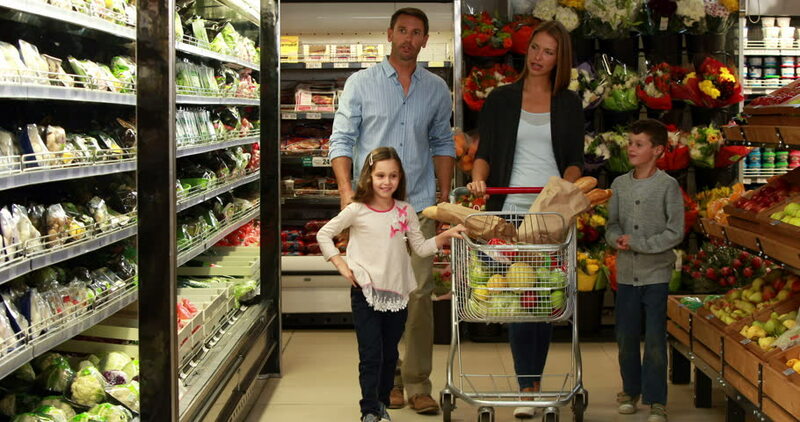 4k00:17Young beatiful family do the shopping in the vegetable department, woman choosing the good tomato, man choosing pineapple and putting to the basket. 4k00:16Portrait of couple standing in front of the camera and smiling while shopping in the vegetable department in the supermarket.